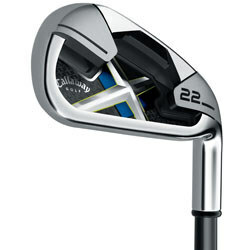 New model top quality clubs ! one set irons Callaway RAZR (includ 4,5,6,7,8,9,P,A,S) !Right handed!Graphite and steel material both !regular and stiff flex both!If you need any more detailed message, please email us! This is my email: hongyecoco@126.com My Tel number: 15652376535Welcome to my shop!We are the top!